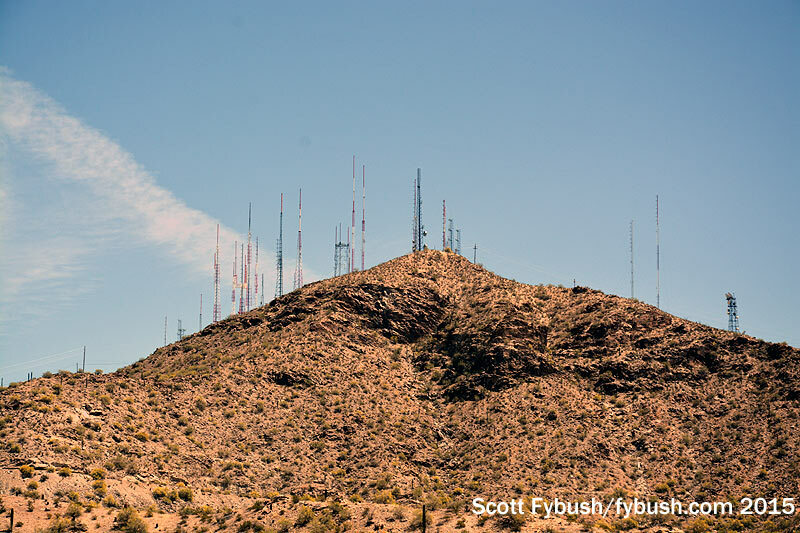 If you’ve gone to Phoenix and haven’t gone up South Mountain, have you really gone to Phoenix at all? 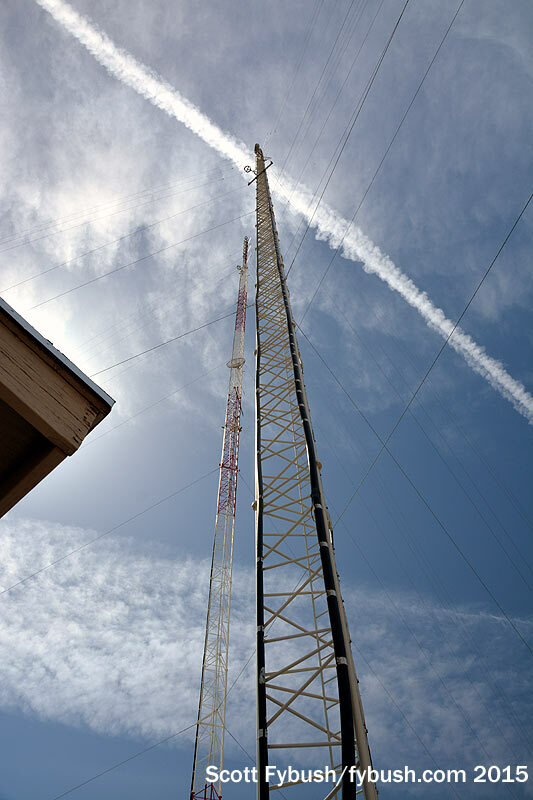 This is simultaneously one of the most remarkable and most accessible TV/FM mountaintop tower farms out there: it’s just a 20-minute or so drive up a nice paved road through a public park (largest county park in America!) 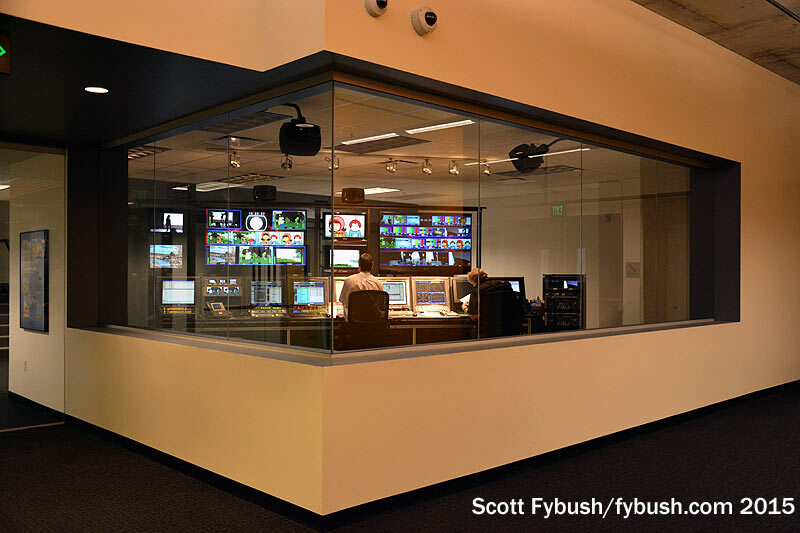 to the gate that leads into this majestic farm that’s home to pretty much all of the market’s TV and FM action. 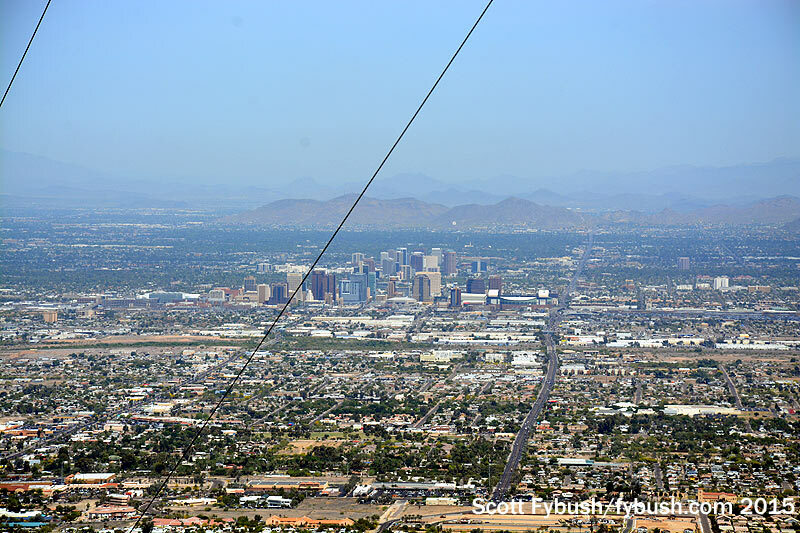 It’s not hard to understand why this is such a superior site: from the brow of the mountain, the view to the north encompasses nearly the entire sprawl that is the Phoenix metro, with very little shadowing except the bit that comes from Piestewa Peak and its sister peaks up north of downtown. 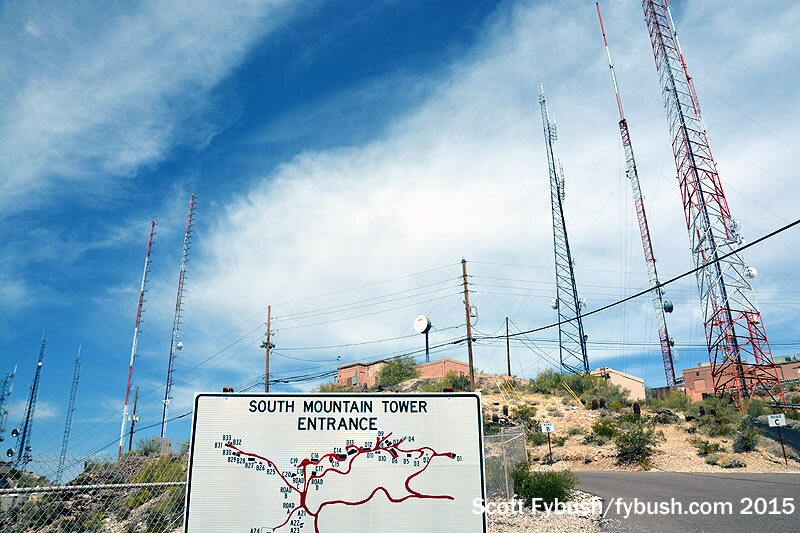 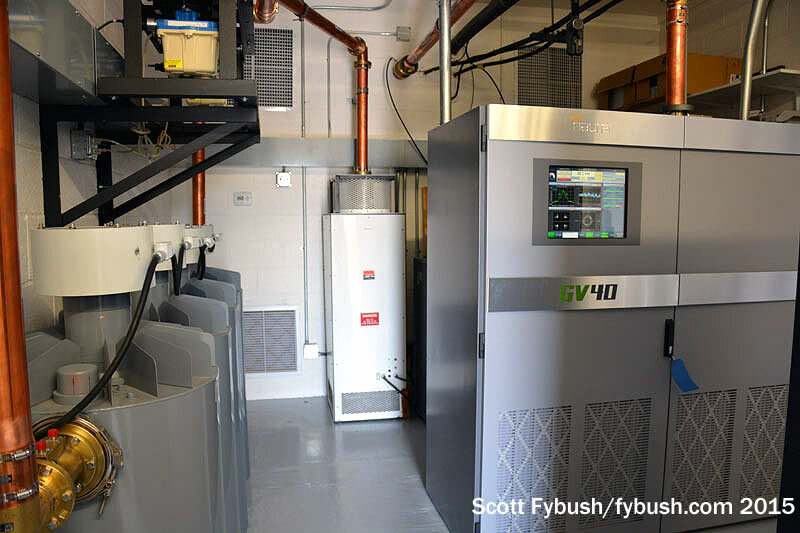 On earlier trips up South Mountain, we’d been inside only one other building, Bonneville’s 92.3/98.7 pair – but this time, our tour guide had access to a few more FMs, starting with the pair of guyed towers that sit to themselves far at the west end of the tower farm. 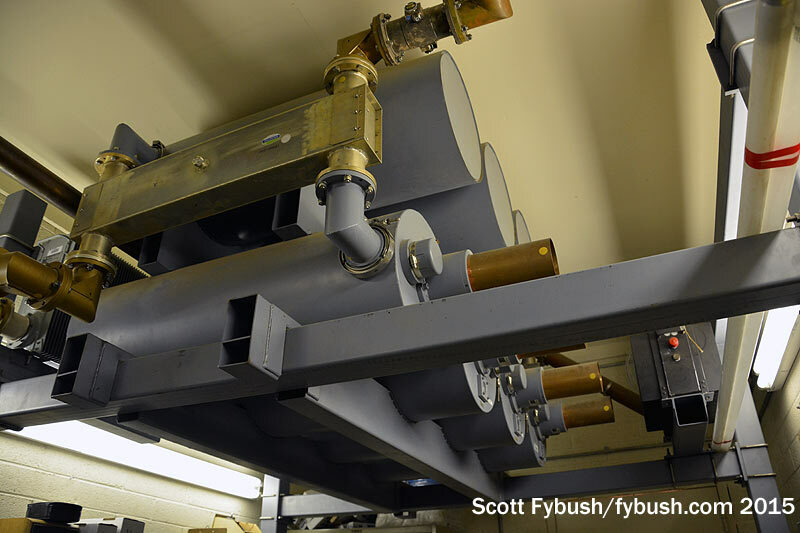 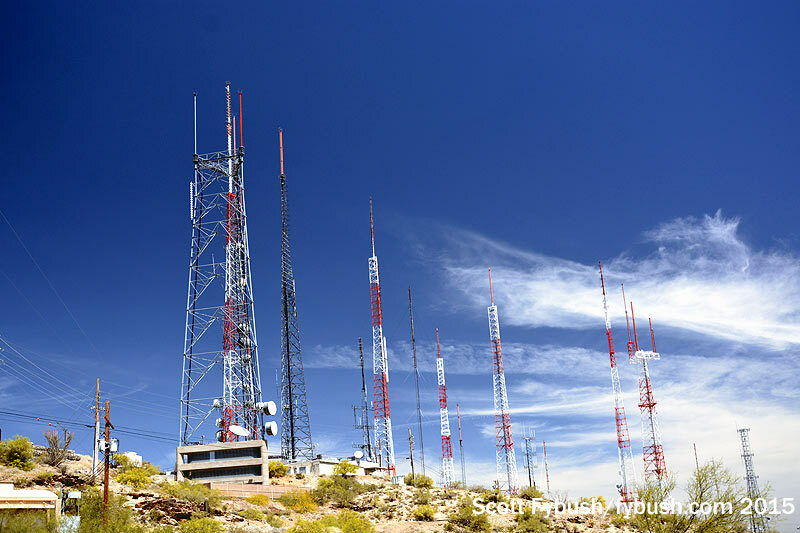 These sticks are Hubbard classic rocker KSLX (100.7 Scottsdale) and CBS Radio’s KZON (101.5 Phoenix), and their separate small buildings at the base of each tower are near mirror-images, each with a new Nautel transmitter (GV40 for KSLX, NV40 for KZON, augmented by a smaller Nautel aux) and each featuring filtering to keep its neighbor station from creating intermod. 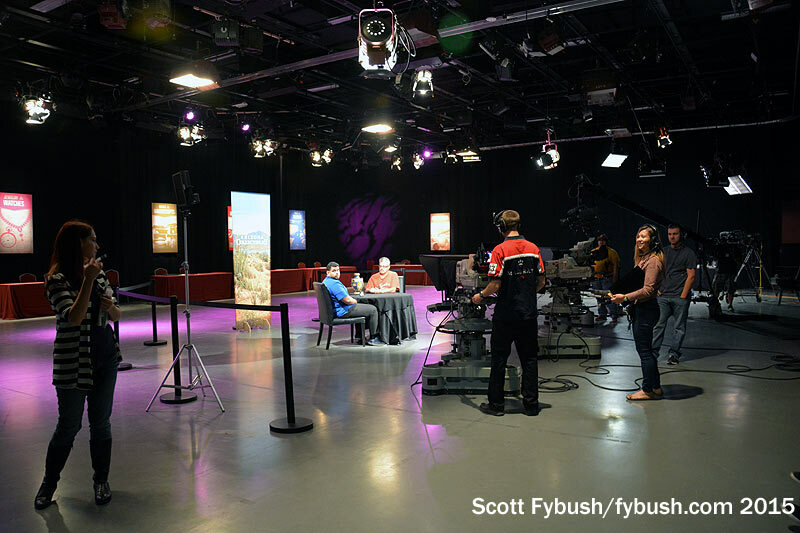 On the day we’re visiting, they’re getting ready for production on a local version of Antiques Roadshow; I think that was some lighting testing going on when we peeked into the big studio. 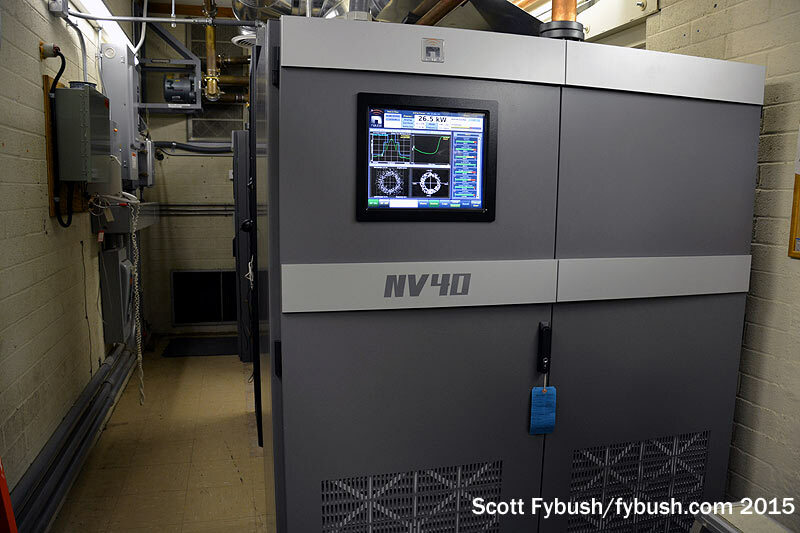 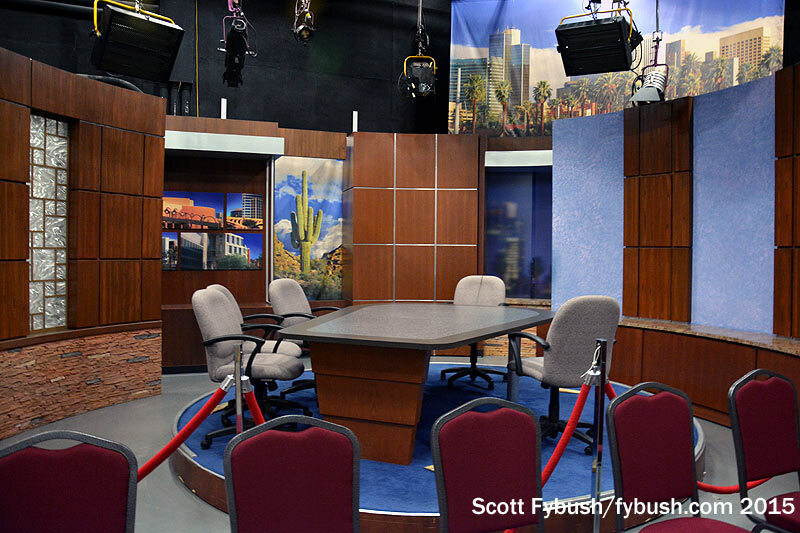 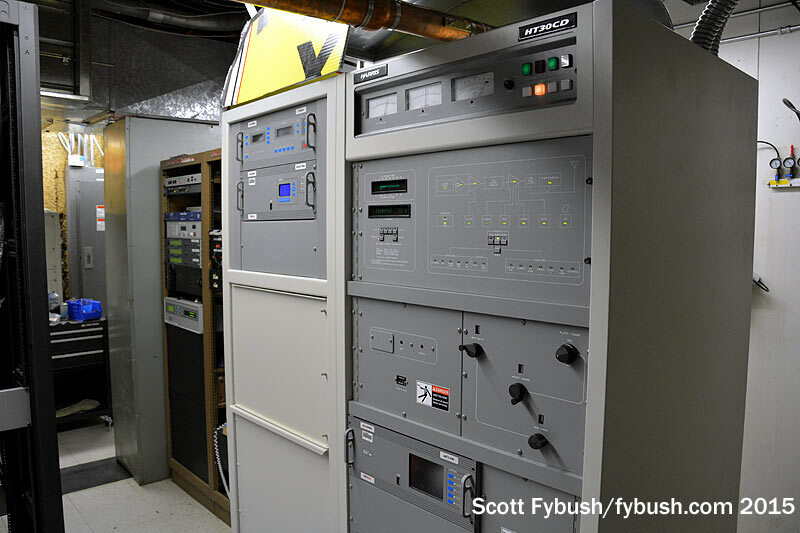 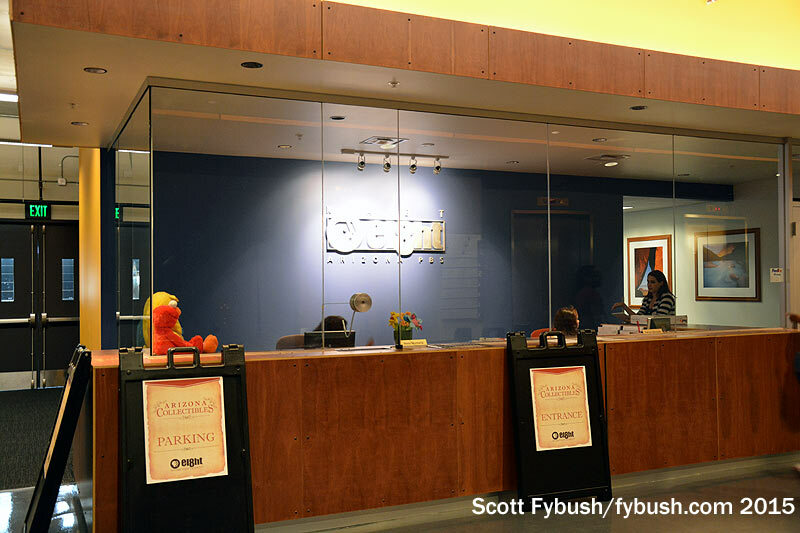 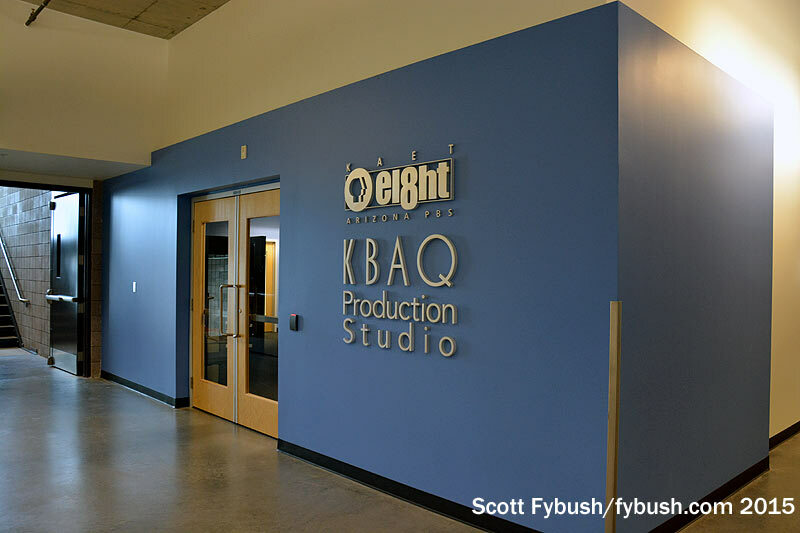 One floor down, there’s a nifty facility that serves multiple purposes: Central Sound @ Eight handles audio post-production on KAET’s broadcasts and also serves KBAQ (89.5), the classical station jointly operated by ASU and the local community college. 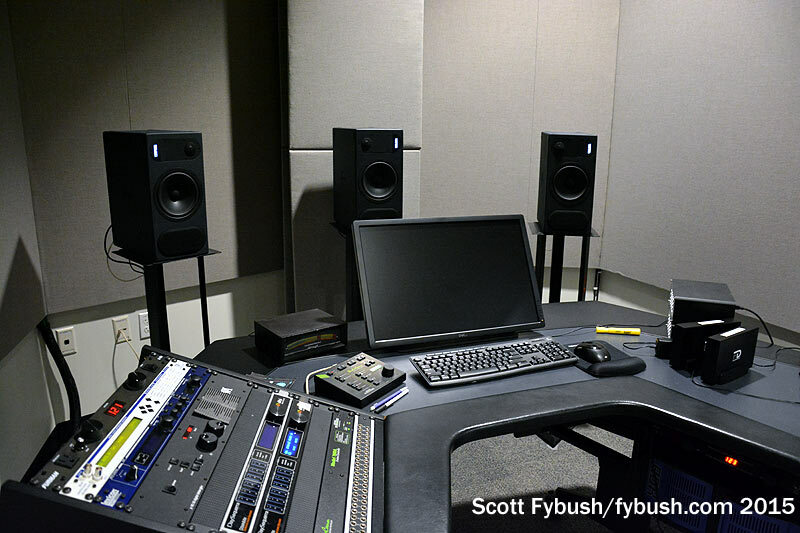 That sweet sweetening suite shown above is a surround-sound post room where Alex Kosiorek and his Central Sound team mix down everything from symphony broadcasts to student productions. 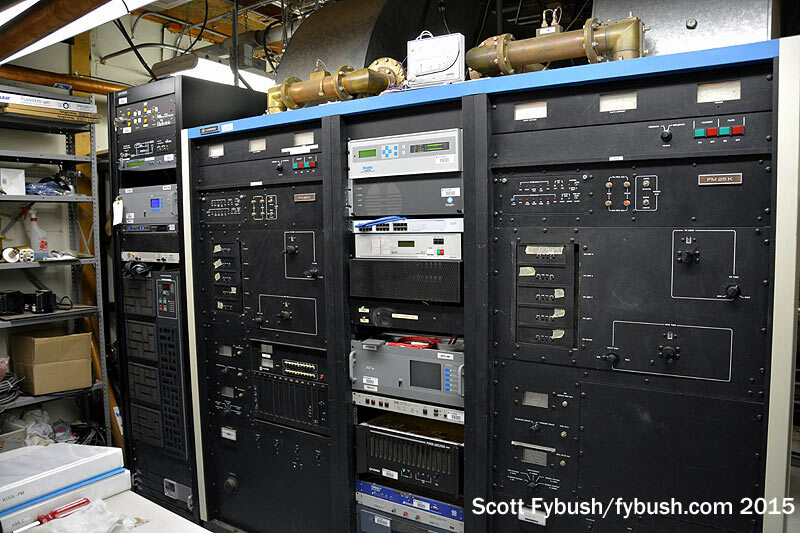 Thanks to CBS Radio’s Eric Schechter and KAET’s Eric Xu for the tours!